When employers accommodate the disability, they benefit from the ability. Disability is a loaded word. Is a disability a real mental or physical impairment, or is the “disability” a blockage to useful employment created by the failure of society to accommodate? For example, is a person in a wheelchair disabled, or has society failed to enable them by building ramps and wider interior doorways that allow persons with disabilities to be usefully employed in the first place? Seeing failure to accommodate disability as a social problem recognizes that society loses the value of the other abilities possessed by persons with impairments. Statistics Canada reports that in 2012, about 10.1% of the 2.3 million working-age (15-64) Canadians reported some form of disability. This figure jumps to 33.2% for those over 65. A report by the Royal Bank of Canada completed in 2000 estimated that (at that time) persons with disabilities possessed about $25 billion in annual spending power. Perhaps statistics gathered by the Vision Council of America can bring the role of accommodation closer to home. The Council estimates that 75% of the adult population use some sort of vision corrective such as glasses (64%) or contact lenses (11%). But how many of us think of ourselves as visually impaired? Without such lenses to accommodate the visual impairments of three quarters of the adult population, many of us would not be employed in our current positions, and society would not function as it does today. impairments have what it takes to be of value in the workplace. Nevertheless, there are still preconceived biases to be overcome to achieve inclusiveness for all. recognized as the human rights of persons with impairments to be accommodated so they can live their lives as they see fit. Ontario now has the Accessibility for Ontarians with Disabilities Act , 2005, which requires all Ontario businesses to be able to accommodate persons with impairments by 2025. Impaired persons may have the skills necessary to perform the task. Building an inclusive environment starts at the top. Management must support hiring practices that evaluate individuals for what they can contribute, regardless of their impairment. Integrating persons with impairments into the workplace may require educating current employees to set aside all preconceived ideas about disabled persons. Management may need to address initial concerns about safety, perceived special treatment or productivity, to maintain a positive work environment. Accommodation may require physical changes to the workplace. modifications of access points, washroom areas and equipment. In that this will be a learning curve for both employer and employees, management must ensure the concerns of all employees are addressed to maintain a positive work environment. 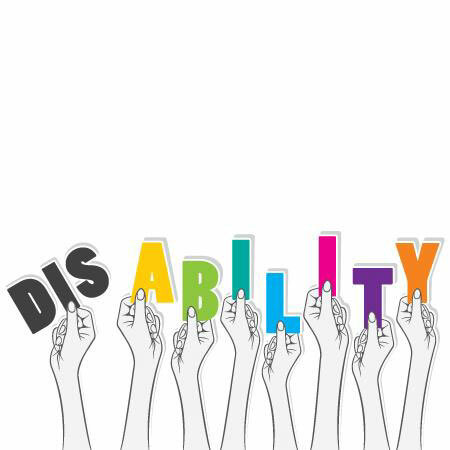 organization provides online information to assist employers in finding not only the necessary tools to hire employees with disabilities, but also to provide guidelines for management and all employees (supportedemployment.ca). disability to perform effectively. Regardless of the degree of disability, it is essential to determine what accommodations must be made to support the employee in all aspects of the job. Understand which questions you can and cannot ask. As with any applicant, focus on the applicant’s job skills, experience, and how they would accomplish the tasks outlined in the job description.